Facial asymmetry occurs when the face is not symmetrical or evenly balanced. Most of us have asymmetrical faces to a certain extent but not to the degree that is noticeable. However, at times, the asymmetry can be pronounced and very obvious. Asymmetrical facial problems can be congenital and show up at birth or may develop later on in life. 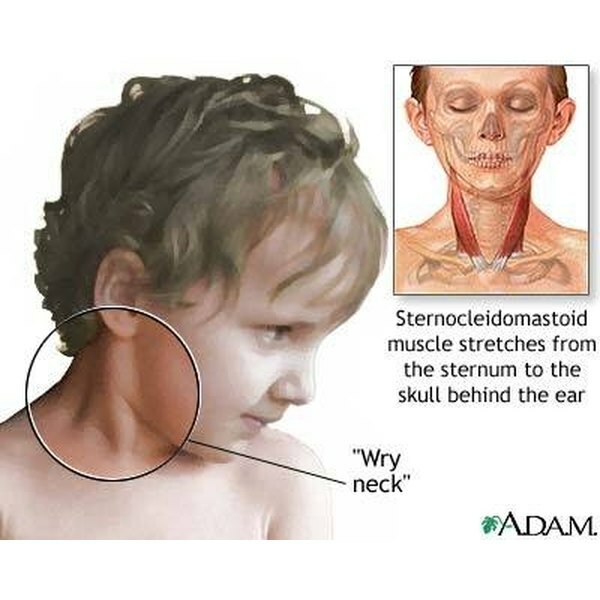 According to Yourspine.com, if a child's head is tilted to one side or another (this is called congenital torticollis) this may be a precursor of facial asymmetry. If not treated, this condition can lead to curvature of the spine, scoliosis and significant unbalance of the face. Congential toricollis can be caused by malpositioning of the fetus while in utero or the use of vacuum extraction or forceps during delivery. Facial irregularities can occur if there are problems with an individual's teeth. Dento-facial orthopedics is the area of dentistry that specialize in the diagnosis, prevention and treatment of dental and facial irregularities that result in facial asymmetry. These dental specialists can use braces to bring the jaw, lip and teeth into alignment, which results in facial balance, according to the Mayo Clinic. Sometimes the jaw simply does not grow correctly and this can result in a host of problems, according to Michael J.Karakourtis, DDS. When this happens, it can impede a person's ability to speak, eat, chew, bite or breathe normally. Facial asymmetry frequently occurs when there are abnormalities or irregularities in the jaw. Orthognathic surgery is required to fix the jaw malformation. This type of surgery results in a more symmetrical face as well as corrects chewing, breathing and speaking problems. Science Daily explains that one major cause of facial asymmetry is craniosynostosis, which is the premature fusion of the cranial sutures. This is a congenital condition and results in an asymmetric, or uneven, appearance to the face and forehead. It can be corrected by surgery, which is done early on. However, some asymmetry, although not pronounced, remains even after surgical correction. Walter C. Buchsieb, DDS, MS, Clinical Associate Professor Emeritus, Section of Orthodontics, College of Dentistry, The Ohio State University explains on Netwellness.org that asymmetry can occur during a puberty growth spurt. If, for example, an individual notices, as he ages, that his jaw no longer appears symmetrical, Dr. Buchseib notes that this can be the result of one side of the jaw growing faster than the other when the individual went through a growth spurt. This condition can be diagnosed via the use of a radiograph or submental vertex view, according to Dr. Buchseib. Another condition that can result in facial asymmetry is hemifacial microsomia, according to the National Craniofacial Association. When this condition is present, the lower half of just one side of the face is underdeveloped and doesn't grow as it should. This condition also is known as second brachial arch syndrome, otomandibular dysostosis, oral-mandibular-auriclar syndrome or lateral facial dysplasia. Some individuals may have a mild case of this whereas others may experience severe asymmetry. Factors that are always present with this condition, regardless of its severity, include maldevelopment of the ear and mandible. Cleft palate is the leading facial birth defect with hemifacial microsomia being the second leading facial birth defect.